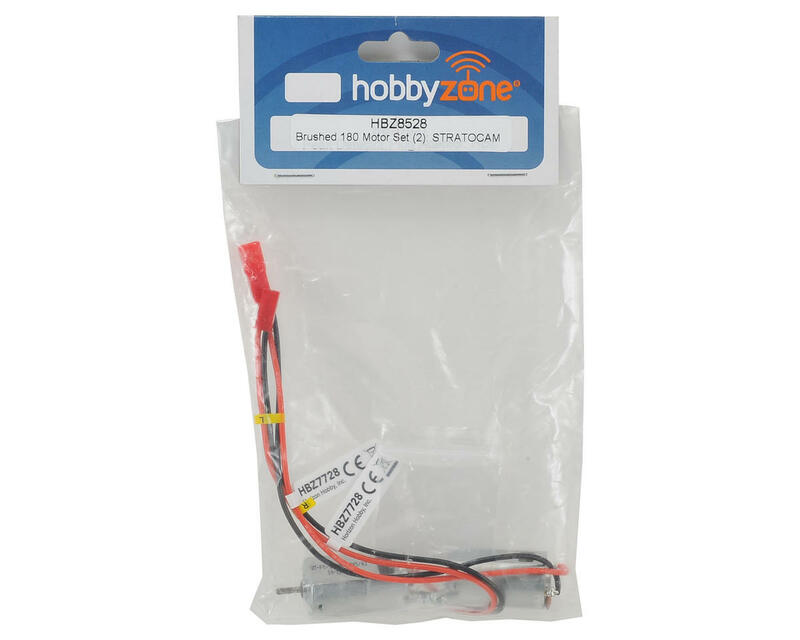 This is a pack of two replacement HobbyZone Brushed 180 Motors. 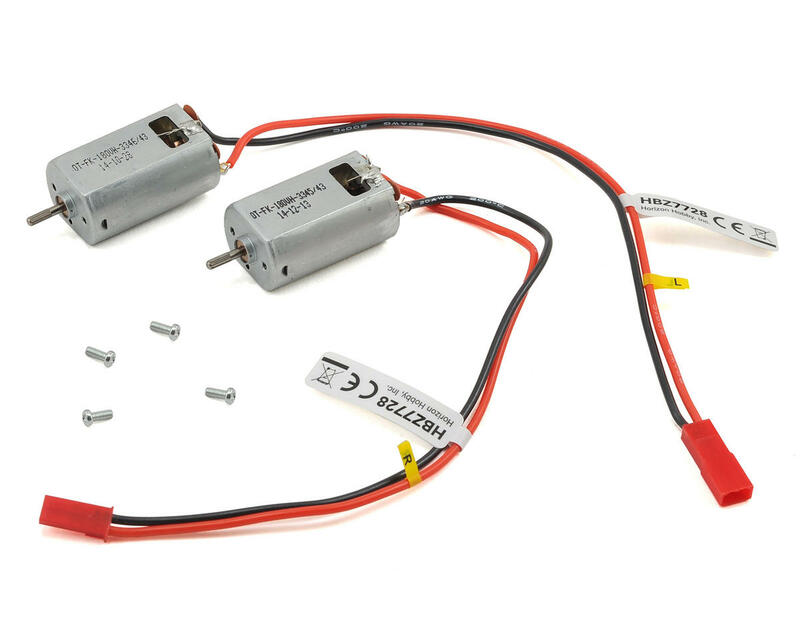 These motors come installed with wire leads and four mounting screws. These motors are also marked "L" and "R" on the wire leads.